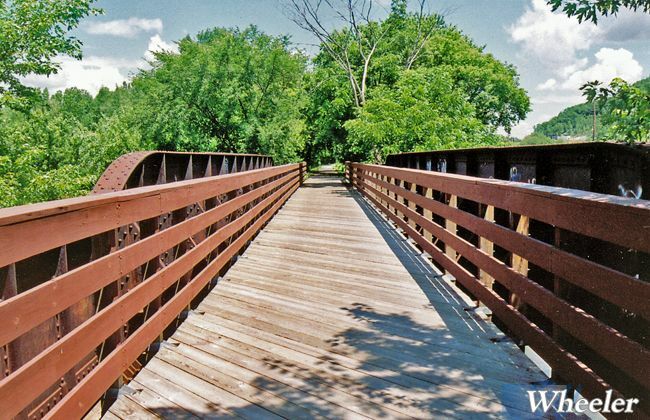 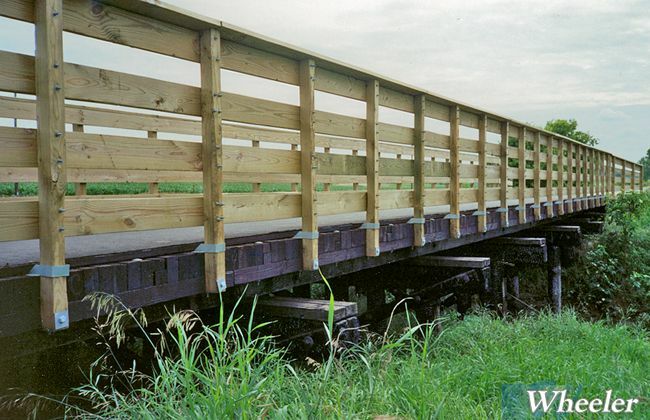 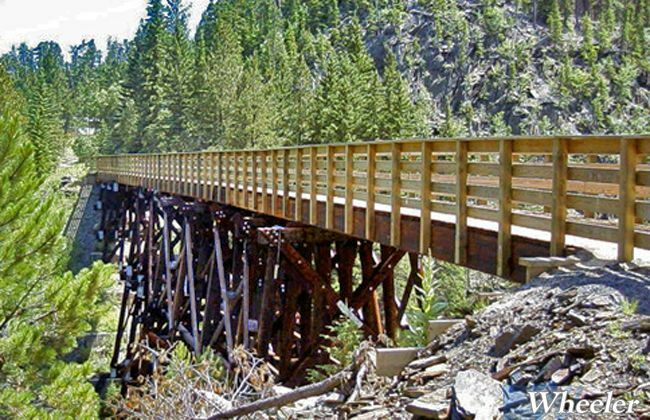 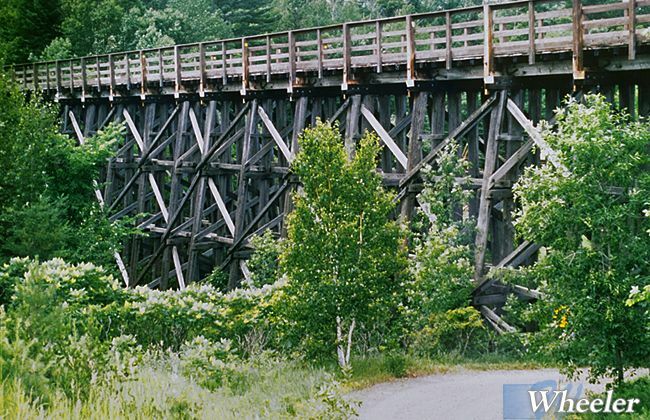 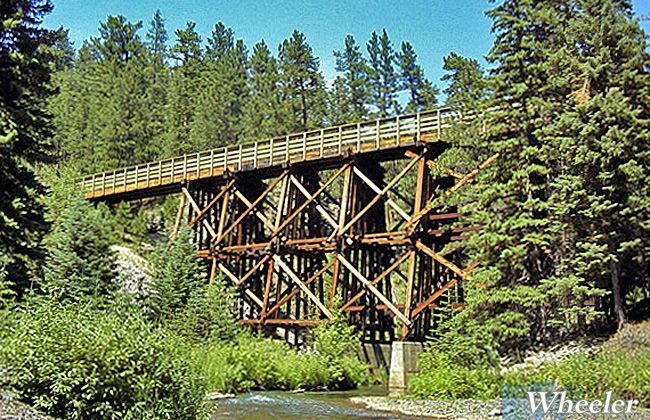 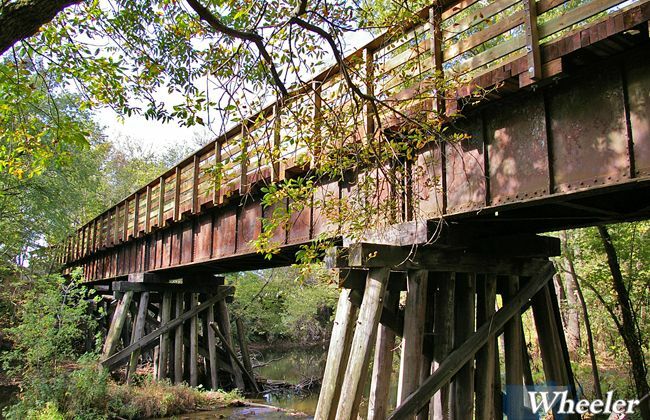 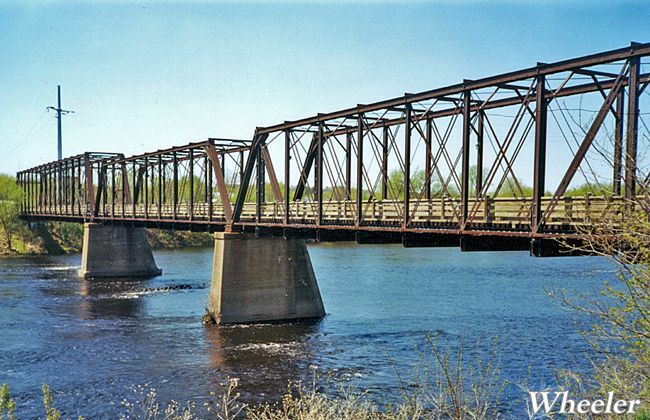 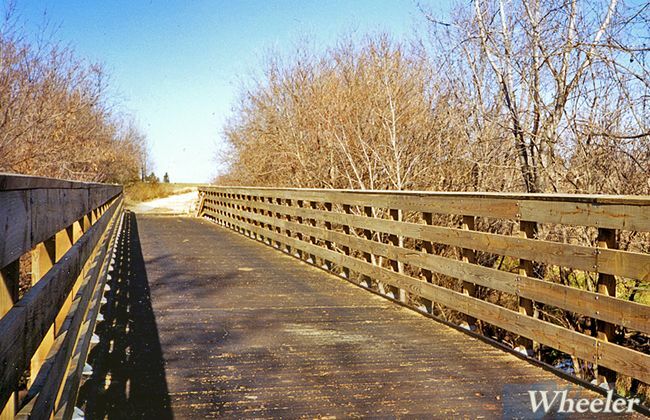 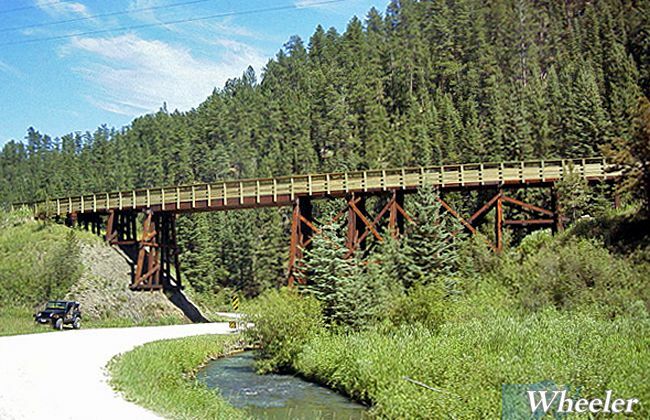 Using prefabricated treated timber deck panels, Wheeler has designs to retrofit any existing railroad bridge. 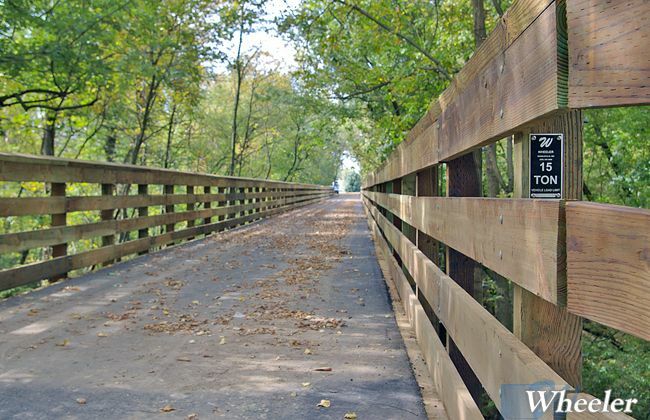 Panel dimensions are customized to provide the desired trail width, typically ten or twelve feet. 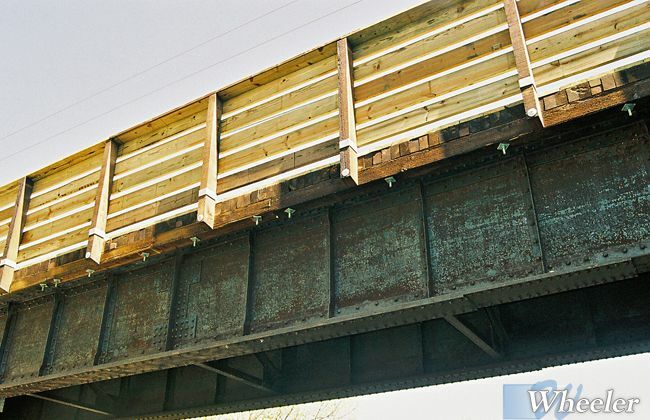 The thickness varies from four to eight inches based on existing conditions and design vehicle loading. 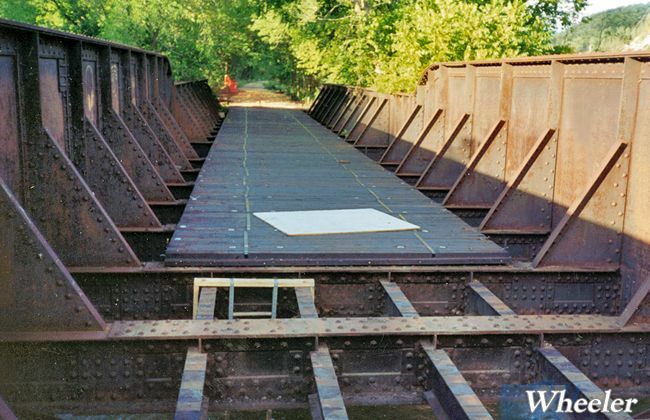 Placed transversely, each panel covers between four and six feet depending on panel weight and equipment capabilities. 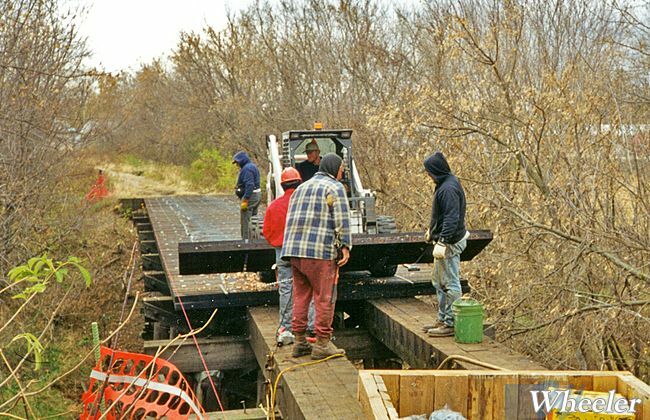 Attachments are available for connecting to any existing timber or steel superstructure. Ship-lapped joints create a continuously interconnected deck system that effectively handles an asphalt wear surface. 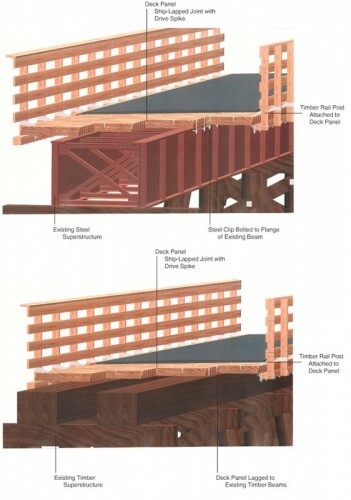 Or if preferred, a treated timber wear course can be fastened after the panels are placed. 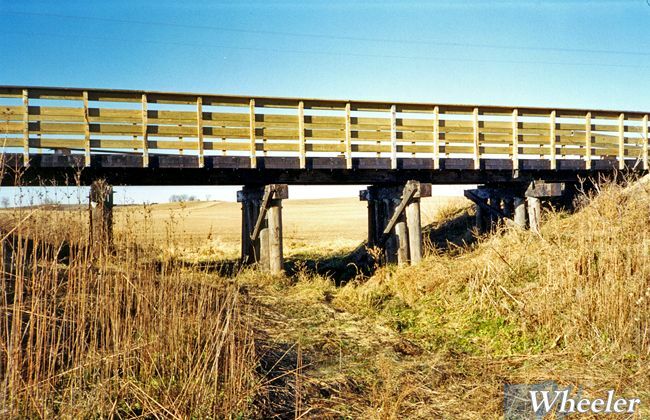 The railing system meets typical AASHTO requirements for height, maximum openings and loading. 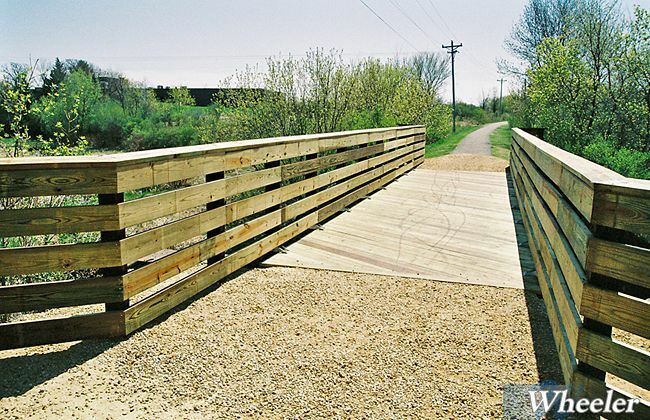 Rail posts attach directly to the panels, simplifying the installation.